A Texas team added a transfer quarterback, another lost one, and one is still waiting to see what happens. Alabama quarterback Jalen Hurts officially announced that he is transferring to the University of Oklahoma on Wednesday. With it, the quarterback roulette in Texas seems to be coming to an end. Hurts was targeted by several programs in the state of Texas. TCU made Hurts a priority as soon as his season ended. Houston also tried to lure the Channelview product back to his hometown, but to no avail. Instead, Hurts will try to become the third straight Oklahoma quarterback transfer to win the Heisman Trophy. The Alabama transfer wasn’t the only major transfer on the market. Here’s how the quarterback transfer market has affected the state of Texas after the Hurts decision. TCU is easily the biggest loser of Hurts’ decision. 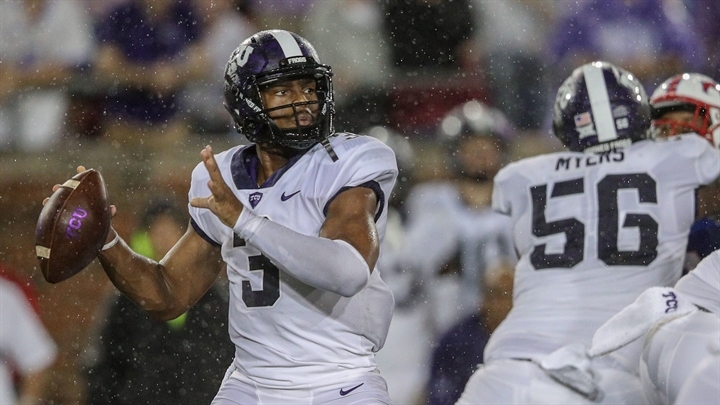 The Horned Frogs have a shallow quarterback room heading into the offseason. The offseason started by losing former blue-chip quarterback Shawn Robinson to Mizzou after an up-and-down season. He was billed as one of the best offensive recruits in TCU history when he joined the program just two short years ago. The Horned Frogs have two returning quarterbacks on the roster: former walk-on Michael Collins and redshirt freshman Justin Rogers. The latter has only thrown pass in the last two seasons after suffering a devastating knee injury. Elite 11 quarterback Max Duggan also arrives, but he hasn't played against high-level competition. TCU added Kansas State transfer Alex Delton on Tuesday, likely after learning Hurts was leaning in a different direction. Delton is an inconsistent passer, but was likely brought in just to have more than one player on the roster with collegiate quarterbacking experience. However, Kansas State still might block him from being immediately eligible. That would be a major frustration for TCU – the Horned Frogs want immediate depth and wouldn’t have the same use for Delton in 2020. If Kansas State blocks him, the Horned Frogs have to consider not taking his commitment. Quarterback play doomed the Horned Frogs in 2018. Robinson was wildly inconsistent, but the Horned Frogs were even worse when he went out. TCU averaged fewer than 20 points per game after Robinson went out. 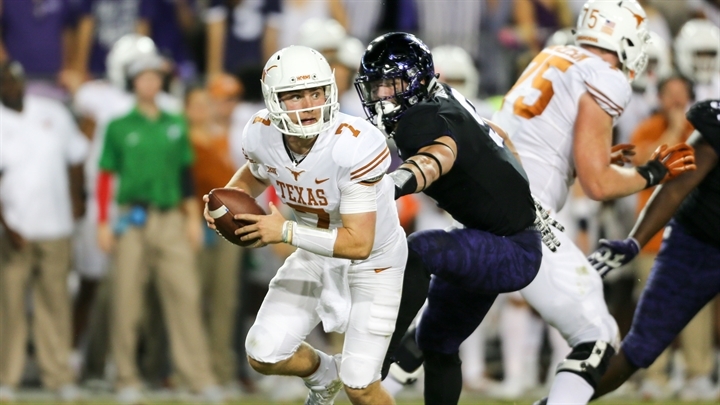 Quarterback issues were a critical part of the Horned Frogs falling from 10 to seven wins. Delton changed his commitment to TCU at the last moment. For most of the last month, Delton was committed to play quarterback at UTEP. While Delton isn’t a proven player, he still has experience learning under head coach Dana Dimel. Dimel was his offensive coordinator at Kansas State. Without Delton in the room, the Miners only have two players on the roster who have ever thrown a collegiate pass. 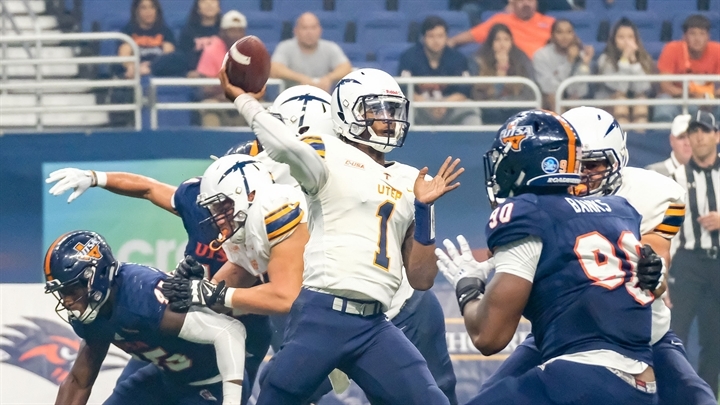 Kai Locksley seems to be staying after an up-and-down junior season, but he completed just 49.1 percent of his passes for 937 yards, three touchdowns and nine interceptions. As a team, the Miners completed just 49.7 percent of their passes for 10 touchdowns and 19 interceptions. In addition to Locksley and sophomore Brandon Jones, the Miners add redshirt freshman Calvin Brownholtz and 2019 recruit TJ Goodwin to the mix. Mark Torrez is also still on the roster. None are proven commodities. Especially with Locksley’s injury issues, it would have been valuable to get at least one player who has thrown college passes. 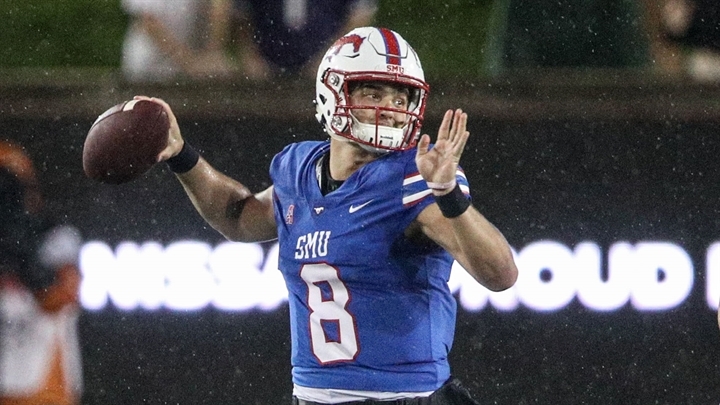 SMU’s all-time leading passer Ben Hicks opted to leave the program after the 2018 season, and reunite with former coach Chad Morris at Arkansas. SMU put him in a difficult position last year. Hicks was a three-year starter who threw for 9,081 yards, 71 touchdowns and averaged 7.2 yards per pass attempt for the Mustangs. In his years under Morris, he helped the Mustangs turn around from 2-10 during his redshirt year to 7-6 as a redshirt sophomore. But when Sonny Dykes came to town, he was torn on whether to rely on Hicks. He started Hicks throughout an 0-3 nonconference stretch, but benched him during wins over Navy and Houston Baptist. However, Hicks was inserted in overtime to lead a game-winning drive against the Midshipmen and eventually regained the starting job against Tulane. Hicks led the Mustangs to within a game of making the American Athletic Conference title game. Unfortunately, the offense struggled against Tulsa and Memphis in tight losses. Hicks got no assurances from the staff that he would be the starting quarterback next season. For both sides, it made sense to move on. Hicks can now play his final year of eligibility in the SEC, while Dykes can focus on putting his imprint on the program. However, SMU’s quarterback room is shallow. William Brown showed signs as a freshman, but the two other returning quarterbacks have thrown three combined passes. Incoming 2019 recruit Terrance Gibson missed much of last year with an ACL injury. At this point, Texas projects to have five scholarship quarterbacks on the roster next season: Sam Ehlinger, Shana Buechele, Cameron Rising, Casey Thompson and Roschon Johnson. Unfortunately, that could change quickly. Rising and Thompson have already entered their names into the transfer portal. It would be somewhat surprising if Buechele doesn’t as well after graduating from Texas in May. Entering a name in the transfer portal doesn’t necessarily mean the player will leave, but it makes it far more likely. If all three players leave, it would crush the quarterback depth. Ehlinger was excellent a year ago and firmly locked up the starting quarterback position. Johnson is a big-time recruit and will be a great quarterback at Texas some day. That doesn’t mean he should be second string as a true freshman. Head coach Tom Herman could still convince any of those three other players to stay. Rising and Thompson only have a few months with the program. Buechele also loves Texas. It’s not inconceivable that he could try and play in fewer than four games next season and use a redshirt year before transferring a year later. Few teams in the country are in as much wait-and-see mode as Texas is right now. Of course, Texas is also affected more than virtually any other team in the state by Hurts' decision. Oklahoma potentially had to break in freshman quarterback Spencer Rattler, or turn to unproven options Austin Kendall or Tanner Mordecai. With Hurts in the mix, Oklahoma with undoubtedly once again be the favorite to win the Big 12. The Longhorns beat Georgia and star quarterback Jake Fromm in the Sugar Bowl. Next year, Texas will be tasked with beating a national champion quarterback at Oklahoma.